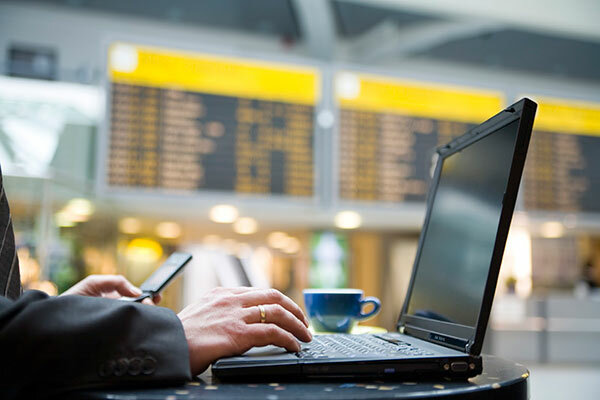 Mobile workstations have really taken off in the last decade, and recent advances in technology have made them even more accommodating for professionals who need the best performance while on the go. Just as workstations themselves were a significant upgrade from traditional laptops, offing increased power, versatility, and portable, lightweight design, the next generation is proving to be even more impressive than what’s come before. Let’s take a look at some of the ways this new generation of workstations is changing the way people do business across the world! The entire concept of a laptop computer is based around portability. While early models still tended to be a bit bulky and heavy, advances over the years produced slimmer, lighter models. Newer models are even thinner and lighter than before, giving your shoulder or lap a rest while traveling or commuting. In addition, workstations have become more durable, allowing them to take a few more bumps, scratches, and collisions without you having to worry about permanent damage. This is ideal for anyone who needs to use a workstation in a busy environment where traffic, foods and beverages, or environmental effects might endanger your investment. One of the biggest fears with workstations (and the laptops that predated them) was the fact that if it were stolen, someone could easily access your important data. If you’re using the workstation for company business, then it’s understandable that you’d want to take extra special care to keep your data safe from others — especially in our era of information and identity theft. Modern workstations come with a load of enhanced security features that make password features seem simplistic by comparison. In addition to new smart card security technology, modern mobile workstations come with Trusted Platform Modules and fingerprint readers to give you even greaterpeace of mind. When laptops first hit the market, their most glaring flaw was their lack of power compared to larger desktop models.These days, workstations have power comparable to most desktop computers, allowing you to run all the apps and programs you need to get your work finished wherever you are and for however long you like — increased battery life less time hunting for outlets and shutting things down early. Better RAM capacity and processing capability and new, powerful graphics cards with state-of-the-art displays mean workstations are now the workhorses of the portable computer market. You might be thinking that while this all sounds fantastic, it’s bound to come with a major price tag. The good news is that while the power, portability, and security of these workstations has gone up, prices have dropped dramatically thanks to advances in computer technology and accessibility. Get a sense of the market and the amazing deals to be had by heading to www.toshiba.ca/W50_mobile_workstation. These mobile workstations are now more affordable than ever, and you can often find models that are comparable in price to their desktop counterparts. This makes it easy to afford the workstation of your dreams, and get the results you need wherever you find yourself! Previous: How to Delete Google Search History?